“I’ve been coached by Julia for the past 10 months, to say it’s been an amazing experience is a complete understatement. The personalized structure and sessions has helped me immensely with my motivation and enjoyment towards training and racing.In return my performances in time trials have improved due to an increase in overall fitness and power. This has also been aided by Julia’s wealth of knowledge in this discipline and her superb race strategies. Within 3 month’s of coaching I was able to achieve my biggest goal, this was breaking our 25 mile club record, in doing so I also managed to dip under the magical 50 minutes. If you are considering coaching I would have no hesitation in recommending Julia Shaw for this task”. ”I’ve had a number of different coaches for a number of different sports over the years and none of them have been as thorough as Julia. Julia really cares for her athletes, taking the time to phone you and meet with you in person to make sure you get the most out of your training. Her depth of knowledge and experience means that whatever situation you find yourself in, Julia can advise and make the necessary changes to ensure that you continue to make progress. 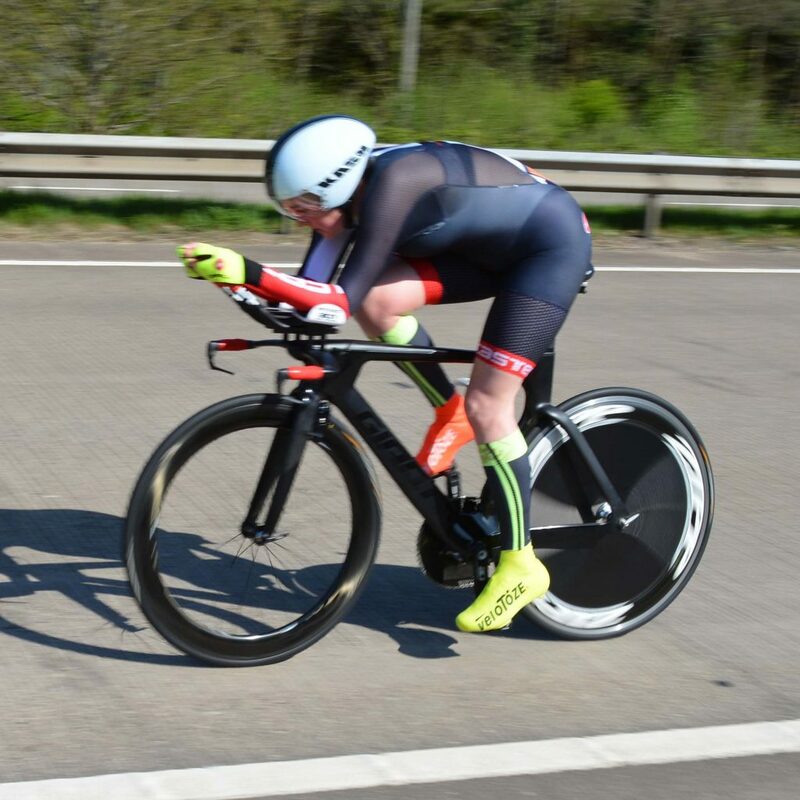 Since my first TT in 2009 I have gradually ridden more and more events each year and having had some modest successes (and failures) with my haphazard self-training methods I felt I couldn’t take myself any further without some expert help. So a year ago, having ‘dabbled’ for a few years, I decided it was time to start taking it more seriously. With this in mind, I approached Julia who has been my coach for the last year, since the end of the 2017 season. Given my previous haphazard approach to training I found it much easier to adapt to the training sessions Julia gave me than I thought I would. Her clear explanations of what each type of session is meant to achieve is really useful and I found this helped me persevere through the sessions. My main goal to-date has been to build a solid training and racing foundation and Julia has helped me achieve this. I took the view, following initial conversations with Julia, that in my first coached year should focus on learning how to be coached and how to be patient, suffering as I do from wanting to run before I can walk, as it were. I have achieved my initial goal and the results are that my pacing is now good and my confidence has grown. 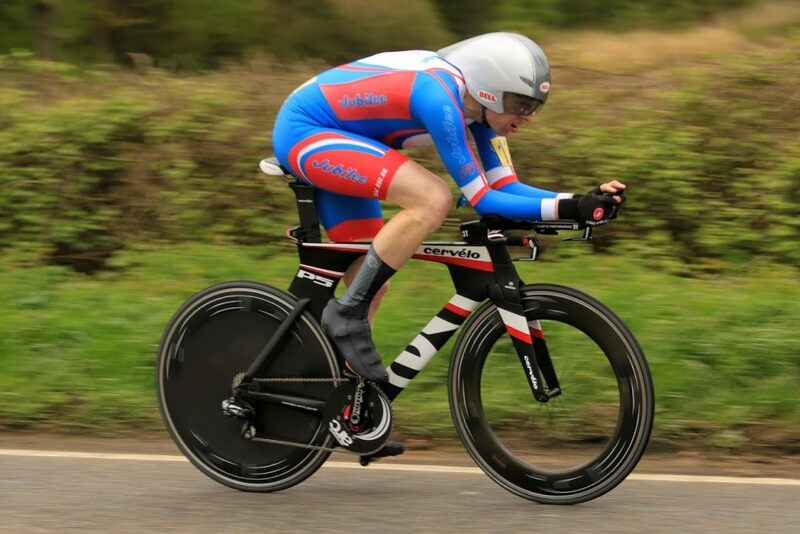 In terms of race results I have PB’d in, and improved, my 25, 30, 50 and 100 mile TT times. These translate to 14th position in the Womens BBAR and First Woman in the Welsh BAR (I’m very pleased to say, all my rides have been on my local Welsh courses rather than travelling to alternative fast courses). Other highlights include Silver Medal in the Welsh 30m TT Champs and Bronze in the Welsh 100m TT Champs. A good showing for my first coached year. Julia is an excellent coach. She is patient and encouraging. Communication is excellent and her attention to detail is second to none. On those occasions when I can’t do a session e.g., because I’m unwell, decide not to race a scheduled race, or life gets in the way etc, Julia quickly re-organises my schedule to work around things. Personally, I find it invaluable to have a female coach and more specifically Julia. If anyone knows how to win, it’s Julia, a great coach and super competitor and I’m really looking forward to working with her in the coming Seasons to build on the foundation we’ve achieved thus far. “Julia’s selfless approach to coaching is demonstrated in her willing to share her own experiences and learnings from her time as a top performing athlete. For me the most important aspect of the support I receive is her understanding of what is involved in being an amateur athlete. Work commitments mean sometimes my training availability is reduced. Julia accommodates this with well thought sessions that form part of the short term plan and my longer term racing objectives. Her analytical approach to training ensures every session has value, and because of this the sessions are enjoyable. I feel both stronger and fitter as an athlete. Most importantly, I am feeling confident in achieving my goals this season and beyond”. “I have always loved riding my bike. Over the last thirty years I have been lucky enough to take part in every aspect of the sport, never really troubling the podium but happy enough with my own performance and experiences. Last year I decided to focus on time-trials; I wanted to beat my PBs for 10 and 25 ‘s. 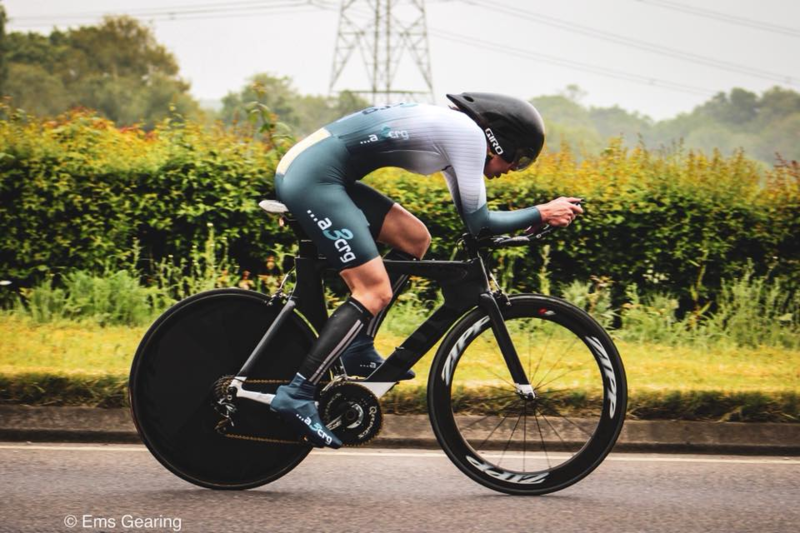 I started talking to Julia and quickly realised how much I could learn from her experience in coaching with power and her many years of outstandingly successful Time Trialling. After an initial assessment (email, questionnaire as well as phone calls) I received a personal plan which took into account my goals, available time, strengths and weaknesses. Once I got started it was so easy, I can see all my planned training in Todays Plan as well as receiving an email each day with training details. If there’s a question I can email Julia who is there for advice and support . Having the weekly and monthly structure that we adapt to match my progress and other commitments has helped me enormously. Something that I hadn’t expected is that I enjoy training much more now I have specific goals for each session. In my first year of working with Julia my powers for a 10mile TT have increased by nearly 40w. I improved my 10 mile time by over a minute and have now beaten my 25m time by nearly 2 minutes (as well qualifying for and riding in the Gran Fondo World Championships in Perth, Aus). Buying better kit has helped but easily the best value for money and the biggest gains have come as a result of the expert guidance provided by Julia”. “I had one big target this year which was an ultra-endurance event of 1430 kms to be covered in 117 hours, so that’s 178 miles a day for 5 days. I thought it might be more manageable if I could raise my “cruising speed” and get stronger on the hills. For me, the riding time for this event was going to be around 55 – 60 hours, so even a 10% increase in average speed would translate into a saving of several hours. In the 1980’s I had raced at quite a high level, I knew training had moved on since then but how much was a complete surprise. I ended up with a heart rate monitor and a power meter which were both essential. At the beginning it was a steep learning curve as I learned the feel of the different target power out-puts/heart rates I was required to do. For me the most difficult part was leaning not to go too hard on the easier rides. For years I’ve heard the phrase that lots of riders do easy rides too hard and hard rides too easy, but it never really clicked. It was completely obvious with power and HR! The daily feed-back from Julia was very useful – it meant if I did a session in not quite the right way, Julia got back to me very quickly so the next session could be done correctly and she was always on hand to answer questions and provide guidance. When it came to the event, I started out well, but was derailed by seriously bad weather on the 4th day. The DNF rate was well over a third of those who started. So to summarise, a training programme from Julia Shaw is not for the faint hearted, you need to be fully committed to the process to get the most out of it. Julia will listen to your goals, take into account your current level of fitness and experience and put together a suitable programme. I did feel Julia got it spot on for me as towards the end of the 3 months I felt I was on the limit in terms of training intensity and volume, but I was still improving. Lastly, 3 months was only just long enough, because of the amount of learning that was involved. I did make spectacular gains in power over the 3 months and that was in spite of spending the first month learning how to train properly and getting my head around all the numbers! With hindsight, 4 or even 5 months would have been better, but that was down to me, not Julia”.